A charity which offers affordable and accessible transport for disabled, vulnerable and elderly people is closing its doors after 47 years serving the community. Directors at Sammy Community Transport, which covers Arun and Chichester, have decided ‘with much regret’ to stop running the organisation due to a number of factors making it ‘untenable’. A spokesman for the directors said: “While this will undoubtedly be disappointing news to our many clients and sponsors, please be assured that we will do everything possible to determine if we can once again, rise to the challenge. The news comes after the charity’s manager retired after ten years and the assistant manager moved on to another organisation. While the charity was originally run by volunteers, a steady decline in numbers had led to staff being employed to take on administration roles and paid drivers being used for minibus trips. As a result, trips have not made any profit and at times have had to be subsidised by the charity, the spokesman said. 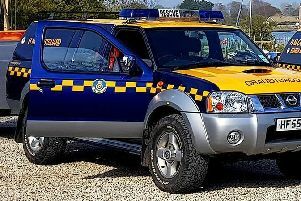 An increase in legislation of the sector has also made it far more expensive to run the vehicles, the spokesman said, while financial support from the local authority has declined.